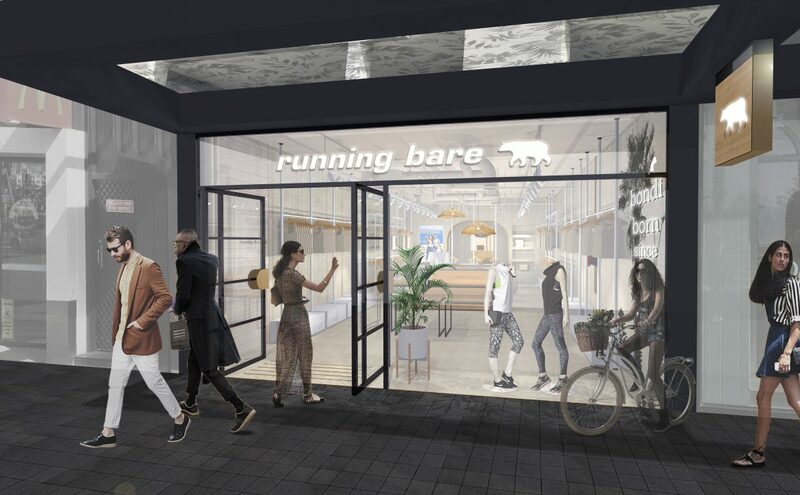 Running Bare is proudly Australian, born out of Bondi Beach in 1983 and still has the majority of product lines designed and made here locally in Oz. The brief for the Bondi Beach store was to create a “beach industrial” vibe while incorporating storytelling around the local heritage of the brand. Design Clarity designed a concept where minimal chic meets beach industrial. We used raw materials such as terrazzo, by Terrazzo Australian Marble, and concrete to create a minimalist backdrop for the brand’s dynamic products, expressive colourways, prints and patterns. Through the use of warm metals we took advantage of natural light to bounce around the space and touches of velvet introduced a luxurious, soft and inviting vibe. The personality and heritage of the brand are converted through storytelling screenprinting on rendered walls. We look forward to the opening soon!